$30 Binary Options No Deposit Bonus to all New activated Clients. Ayrex presents its very first Binary Options No Deposit Bonus for new traders. Sign up to get FREE $30 and turn them into a fully withdrawable $200! 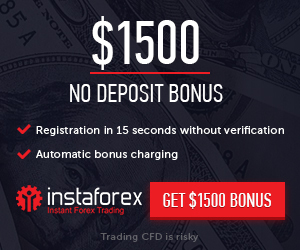 This bonus allows you to profit without making an investment and trade binary options risk free. Verify your credit card with a fully withdrawable $10 deposit. Verify your account by providing your personal ID and an address proof.